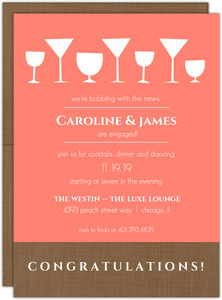 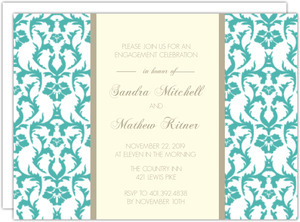 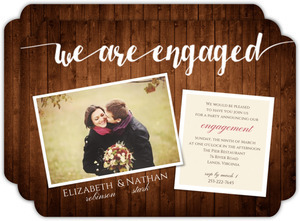 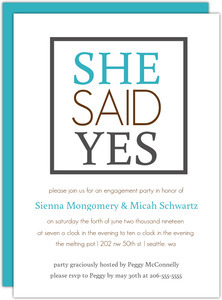 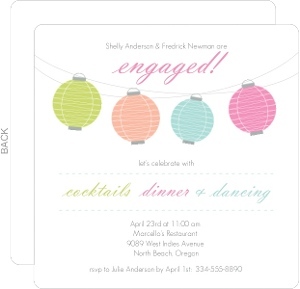 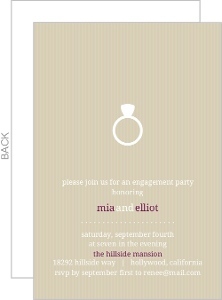 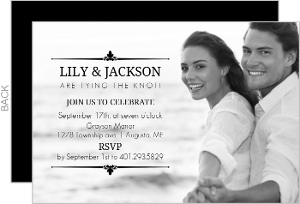 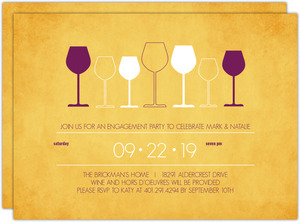 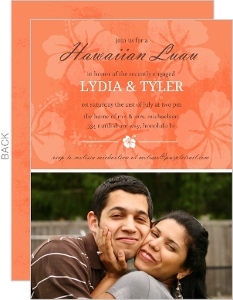 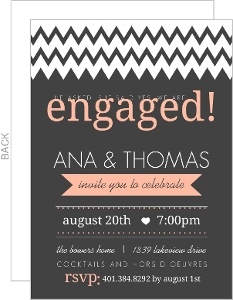 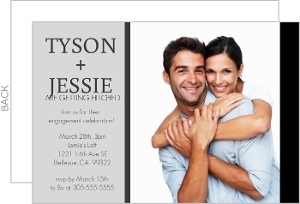 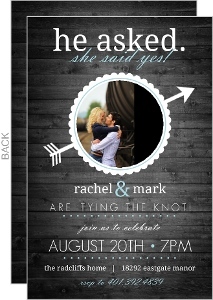 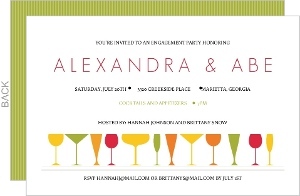 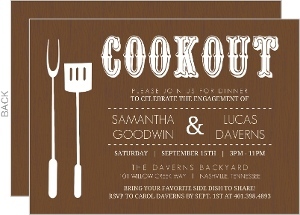 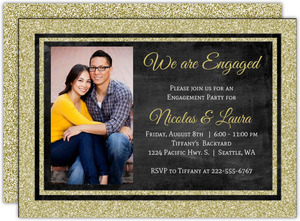 Engagement Parties are the more formal and better established tradition of Save the Date. 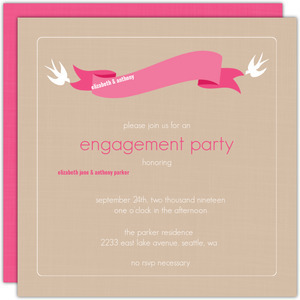 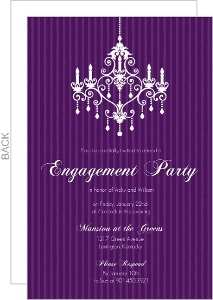 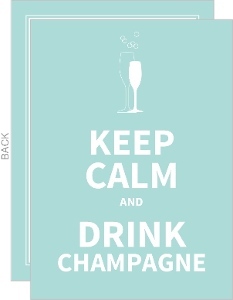 You don't necessary have to have a wedding date set up though to have an engagement party, which is a key difference. 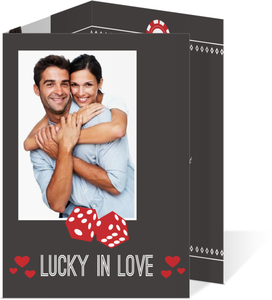 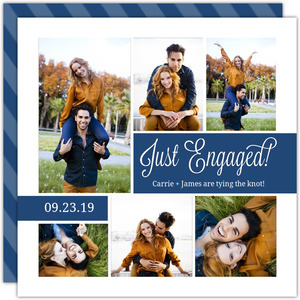 As these parties are normally thrown for the bride, not by the bride, do your best to get a good picture of the couple, as those are usually showcased on the card, be it the engagement photo, or something around that time frame. 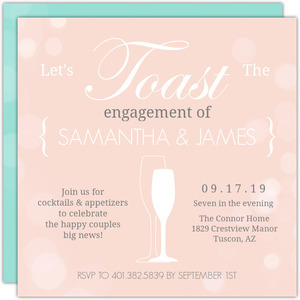 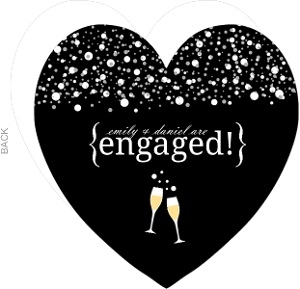 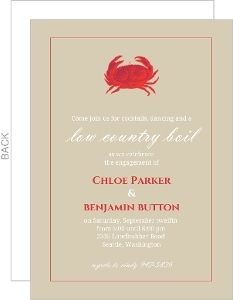 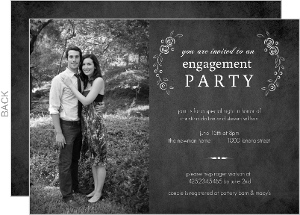 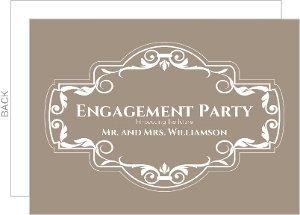 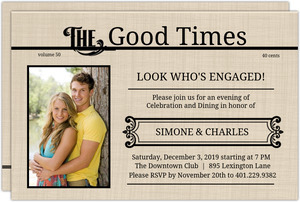 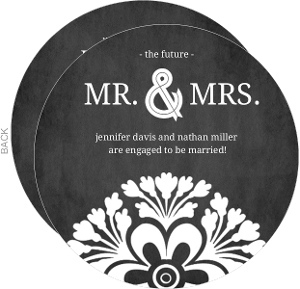 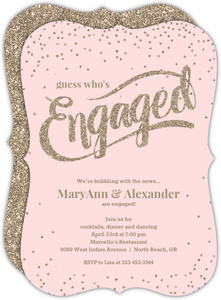 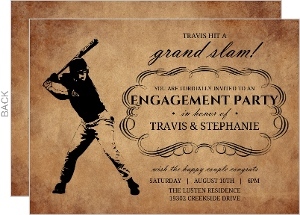 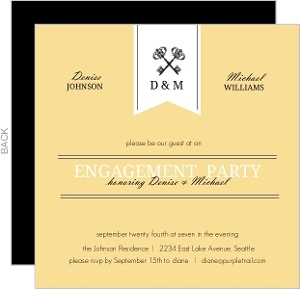 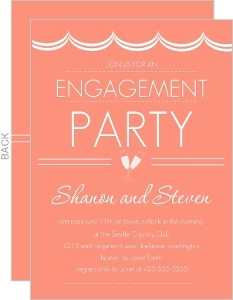 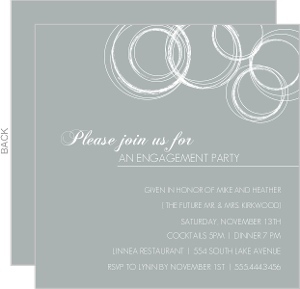 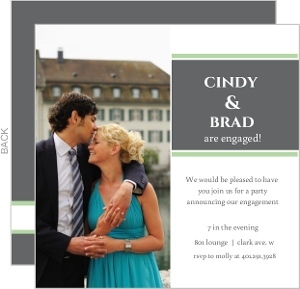 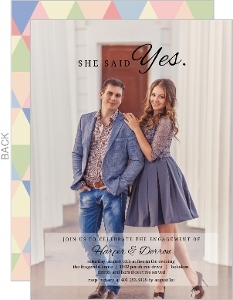 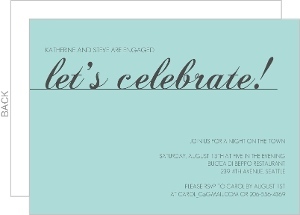 Engagement party invites from Wedding Paperie are a sure fire way to dazzle the guests and fire them up for a party to celebrate the two love birds.